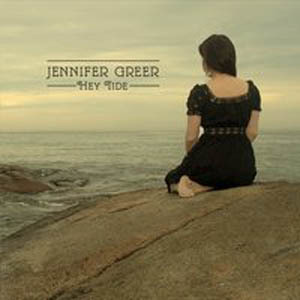 Stop me if you’ve heard this one before…you’ll be playing this game with every one of Jennifer Greer’s tunes on her newest album, Hey Tide. 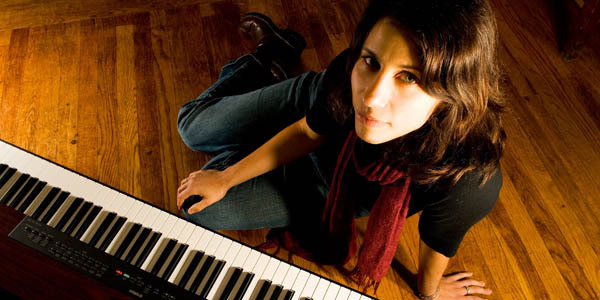 There is a familiarity and finesse on every track of this singer-songwriter-pianist’s record in the best way possible. You may think you’ve heard these songs before, and a great songwriter has a way of hooking you into their world within seconds. Yet Greer doesn’t beg or borrow from anyone else; she has a unique way of delivering these gifts of creature comfort. The record kicks off with the mild-mannered “Say What You Want,” a perfect warm-up to the more musically adventurous Greer to come. “All These People” shows off her knack for writing a hook, as well as . It’s just about the time that “Crater” - a tune that goes a little bit deeper and darker - kicks in, featuring an assertive vocal performance with a killer hook that pulls the record up on numerous levels. “Mother Lode” is another edgier tune that again shows off Greer’s raw power, both as a pianist and vocalist. The range and style reminds more of Fiona Apple or Rachael Yamagata, an unflinching and emotive performance that impresses. So many of the tracks on this record exhibit that ebb and flow that has obviously influenced Greer’s songwriting. That wild and reckless tide occasionally distills down to calmer waters, bringing out all types of vulnerability and strength in Greer as a performer. “Pull Me” is another strong track, clocking in as the longest on the record, but never suffering from overstaying its welcome. In fact, it’s one of my favorites. The title track is another delightfully unique piece of songwriting, easy to lose yourself in the listening experience. Hey Tide is an ambitious record in many respects; and a lesser musician would have trouble pulling this off. The vocal and musical reach and range Greer possesses is wide and deep. She takes one obvious turn for every five unexpected ones. The result is a confident, creative and satisfying musical experience. Jennifer Greer is a force unto herself, so deftly harnessing the ebb and flow of her ocean of talent for us to listen to.